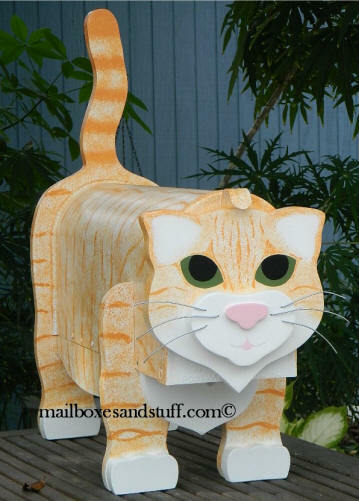 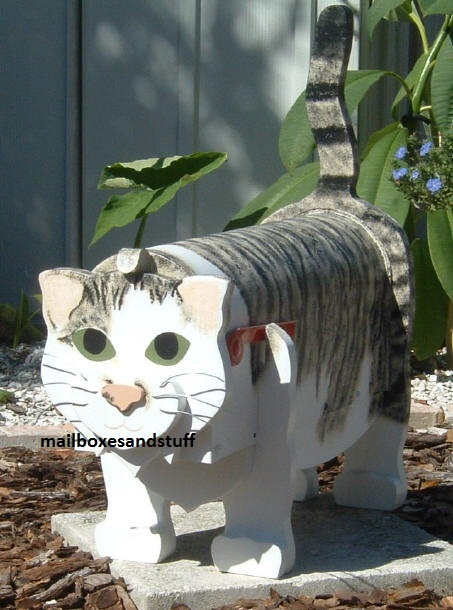 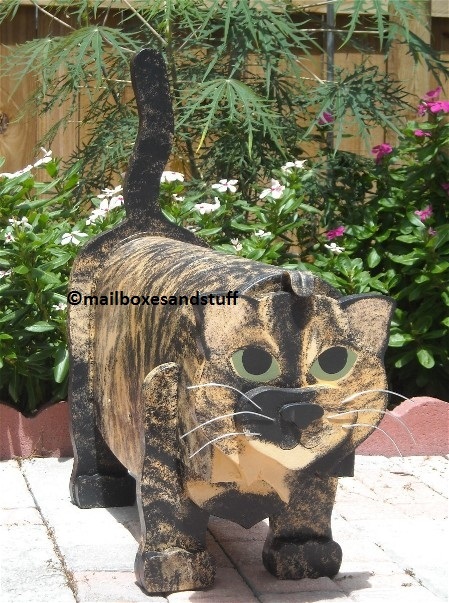 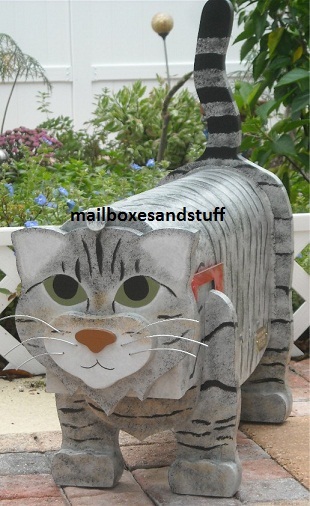 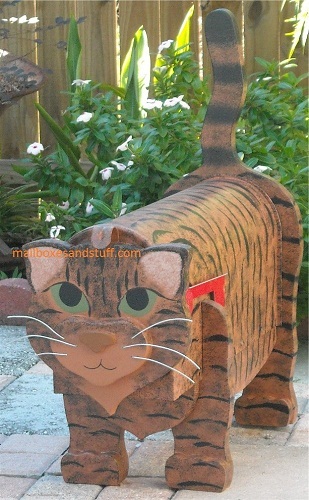 Novelty Cat Mailbox that can be custom Hand-painted like your cat! 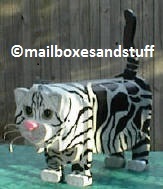 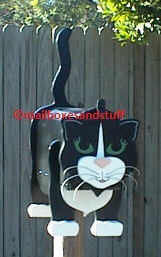 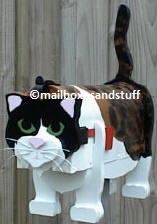 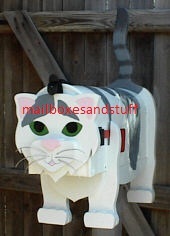 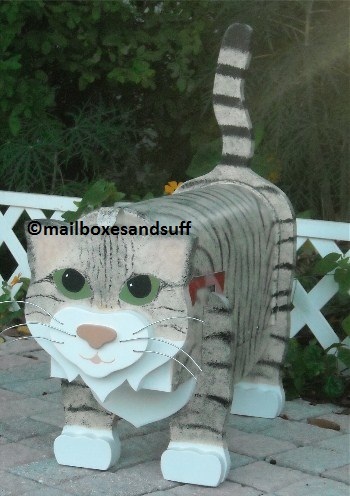 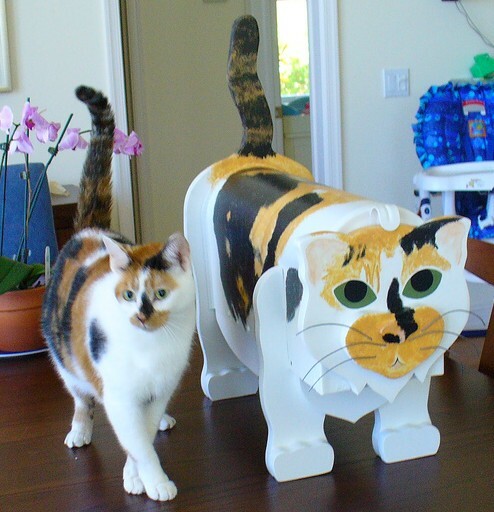 Our Cat Mailbox can be custom painted to look like your Cat. 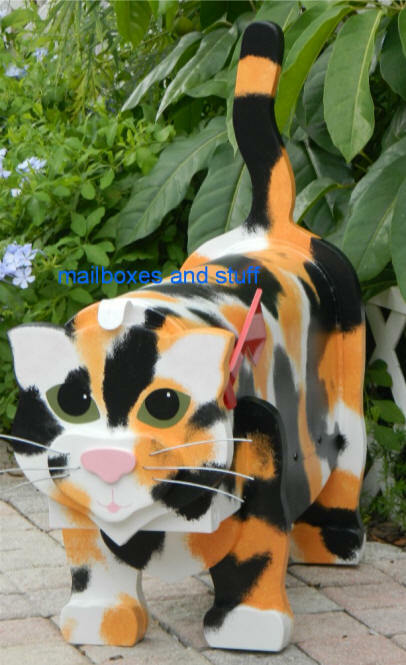 Just send me a photo! 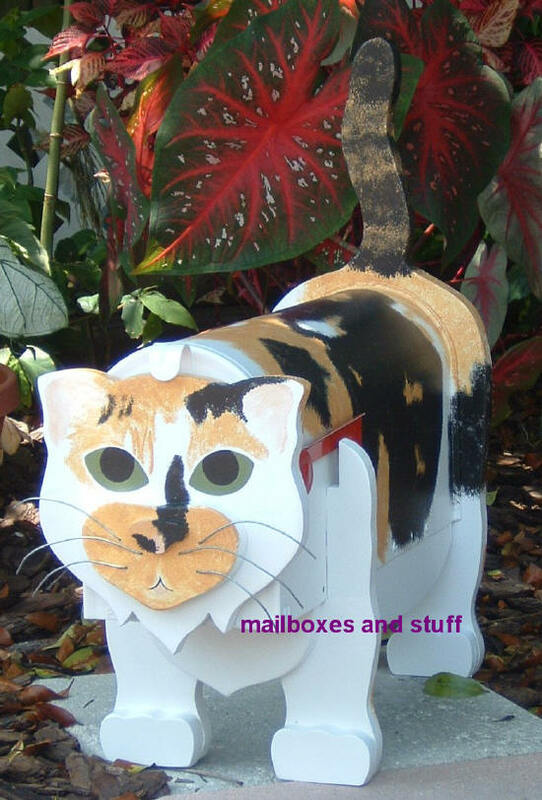 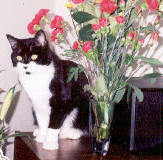 Great GIFT idea for any Cat Fancier! 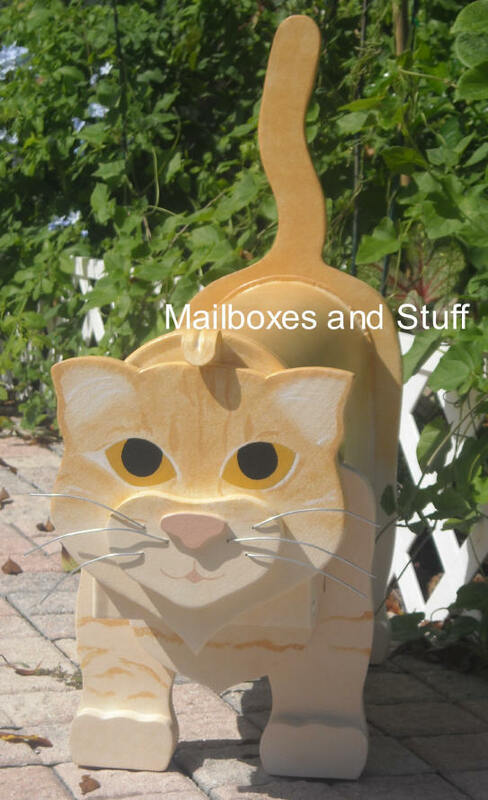 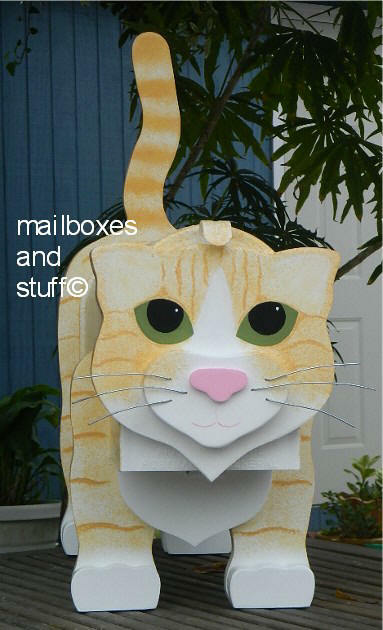 My adorable Cat Mailboxes look great everywhere! 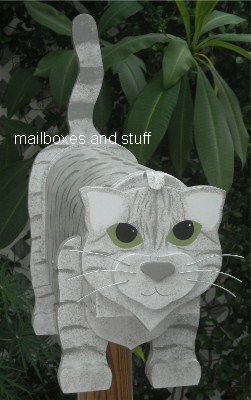 Spruce up the front of your home or surprise someone you love with a unique custom mailbox. 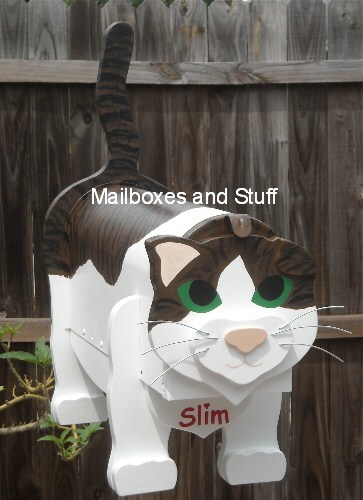 We pride ourselves in our quality work. 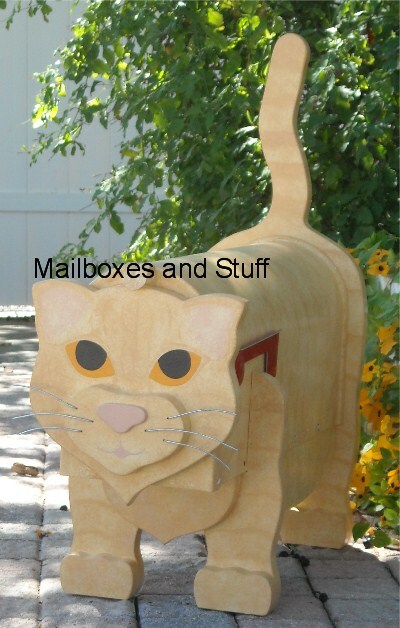 Scroll down to see MANY more ! 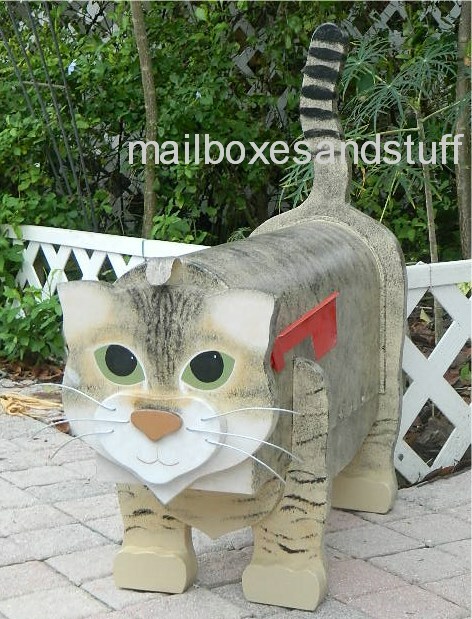 "Fargo" This could be Your Cat and Mailbox! 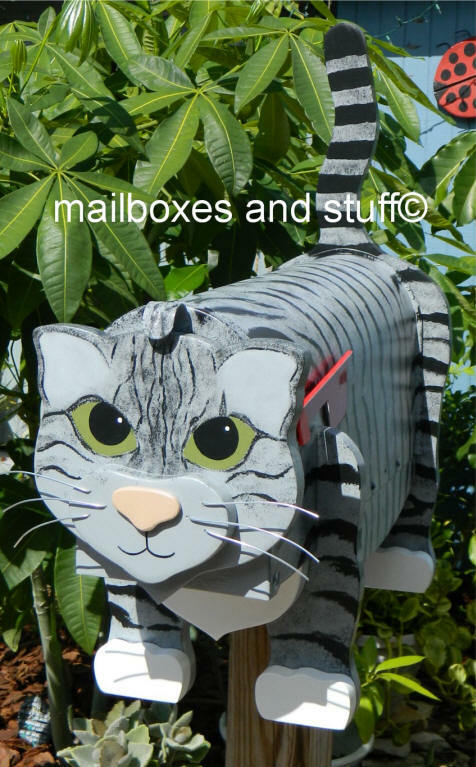 All the images on this site have a copyright and may not be used on any other sites without the permission of the owner of Mailboxes and Stuff, LLC.